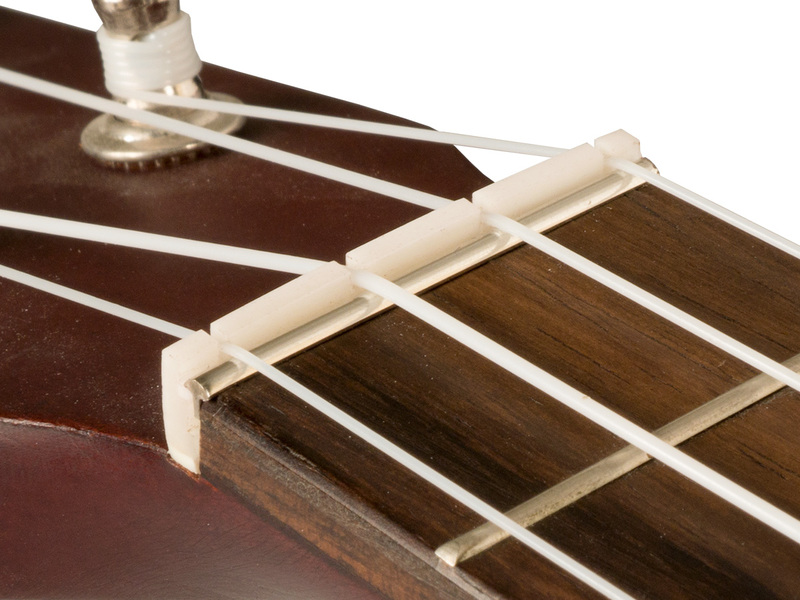 The Zero Glide Replacement Nut System borrows the "zero fret" concept to reduce string contact in the nut by up to 93%, increasing tuning stability, playability, and open string tone. It only takes a few minutes to install with absolutely no permanent alteration to your instrument. For Ukulele. String Gauges: .026", .037", .031", .024"